?What are the most common causes of injuries on airplanes? ?What is the Aviation Disaster Family Assistance Act? Air travel is one of the safest modern modes of transportation, but aviation accidents are still a very real risk for Tennessee travelers. The National Transportation Safety Board reported 1,282 accidents involving commercial, commuter, and general aircraft in the United States in 2015, with 406 people killed as a result of these crashes—and since many minor accidents go unreported, these numbers could be even higher. Whether an accident injures a handful of passengers or an airline disaster results in total loss of life, victims and their families will need someone with dedication and experience to help them move forward. As a licensed pilot, attorney John Griffith has a unique perspective when it comes to determining fault, negotiating damages, and protecting a traveler’s rights after an aviation incident. Simply fill out the contact form on this page to set up a consultation at GriffithLaw and get answers to your questions at no cost to you. Flight injuries can occur on a range of aircraft, each with its own unique risks and laws regarding passenger safety. Depending on the mode of transport involved in the accident, there are questions of liability and negligence that must be handled carefully to protect an injured party’s right to compensation. Commercial airplanes. Commercial airlines are required to adhere to federal safety laws and take extra precautions to keep travelers from suffering injuries on a flight. However, passengers are at constant risk of injuries due to equipment malfunction, takeoff and landing accidents, sudden loss of cabin pressure, poor runway maintenance, airplane-to-tower communications breakdown, air traffic controller error, or a near-miss with another aircraft. Private planes. 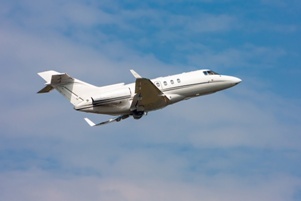 Private aircraft may not be subject to Federal Aviation Administration regulations, and are much more likely to be involved in crashes than commercial airliners. Planes owned by businesses may collide with other aircraft or crash due to pilot error, while charter companies may fail to perform adequate maintenance on aging equipment. Helicopters. Helicopter accidents often involve crafts that are privately-owned and operated, making the laws that apply to these crashes extremely complex. These cases may be complicated further if the accident occurred because of a defective part, poor design, or lack of adequate testing. Passengers. Private and commercial airline travelers may suffer head trauma or falls caused by turbulence, broken bones and internal injuries from a poor landing, or any number of injuries that can force them to incur high medical bills and deprive them of the ability to earn a living. Employees. Airplane accidents do not just affect customers, they can also cause injuries to flight attendants and cabin crew who are on board at the time of the crash. If an accident occurs during takeoff or landing, baggage handlers and air traffic controllers may be run over on the tarmac, while the occupants of other planes may be injured in a runway collision. Pilots. Even if a pilot has all the necessary skills and experience to fly the plane, the aircraft may still malfunction due to mechanical error. We can help pilots recover for injuries caused by lack of maintenance, faulty aircraft components, and other negligence. Family members. Unfortunately, aviation accidents are often fatal for passengers, leaving family members to struggle emotionally and financially after a crash. Our attorneys can advise you if you have been offered a settlement or were contacted by an airline’s representatives, fighting on your behalf while you take the time you need to grieve. Aircraft owners are often protected by a team of attorneys who work to reduce the company’s liability immediately after a crash. It is vital for victims and their families to have someone working on their side who understands aviation law and is not afraid to challenge air travel providers over their negligent practices. Gather evidence. Our legal team tracks down the evidence it takes to win your case, including preserving items from the wreckage, interviewing witnesses, and collecting company documents that present a comprehensive picture to the judge. Work with federal agencies. Our attorneys can communicate with the National Transportation Safety Board and the Federal Aviation Administration to determine whether the plane was compliant with federal regulations, as well as advise you on your rights to a claim under the Aviation Disaster Family Assistance Act. Determine liability. We perform a thorough investigation of the aircraft, its owner and operator, its manufacturer, and its maintenance suppliers to determine who can be held liable for the accident and the injuries it caused. Protect your rights. Victims who are tired of dealing with airlines and insurers may be pressured to accept a settlement just to put the accident behind them. Unfortunately, many do not realize that accepting a settlement will waive their rights to further compensation or legal action, allowing companies to take advantage of victims in a time of severe distress. We can act as your advocate, communicating with authorities and travel companies on your behalf while you take the time you need to heal. If you or your loved one has been involved in an aviation accident, we will stay by your side every step of the way, and will not hesitate to go to trial if it is the best option for you. Contact us today using the form on this page, or call GriffithLaw at (877) 959-8847 to begin your free initial consultation.